As the country's Attorney General, William Barr, defended President Trump's policies before the House Appropriations Committee today, the democratic state attorneys general were defending the rights of the country's citizens. At present there are more than 60 multi-state lawsuits against the Trump administration on actions ranging from the environment, education, healthcare, labor and reproductive rights, to immigration, student loans, the travel ban, net neutrality and the 2020 Census citizenship question. 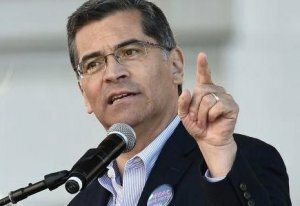 The most recent effort, a brief filed on March 25th by California AG Xavier Becerra on behalf of 21 Democratic AGs, is aimed at fighting the Republican AG-led lawsuit that seeks to invalidate the Affordable Care Act (ACA). Since Trump took office, Democratic state attorneys general have become more visible critical crusaders for justice as their role in fighting, or defending, national policy has expanded. The organization that helps support their efforts is the Democratic Attorneys General Association. 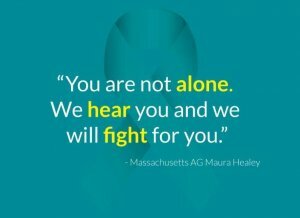 A 527 political organization, DAGA provides crucial political and policy assistance to the state AGs in their mission to protect citizen and civil rights. Founded in 2002, and a full-time operation since 2016, DAGA also supports Democratic candidates running for the office of state attorney general in the US and its territories. Resources include funding, political advertising, consulting, technical assistance, candidate training and talent recruitment. In 2018, DAGA played a major role in electing the most diverse class of Democratic AGs in history, flipping four seats blue and regaining a majority of 27 state AG seats nationwide. The year also brought record-breaking fundraising efforts for the organization, raising $16.3 million across all platforms, more than double their 2017 numbers. In total, an estimated $100 million was spent on the 31 AG contests in 2018, making it the most expensive AG cycle in history. 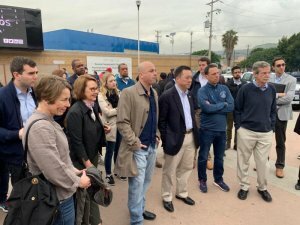 DAGA leadership includes Co-Chairs and AGs Karl Racine (DC) and Ellen Rosenblum (OR), and Executive Committee members and AGs Xavier Becerra (CA), Maura Healy (MA), Hector Balderas (NM), and Josh Shapiro (PA). In 2019, state attorneys general seats are up in Kentucky, Louisiana and Mississippi. In 2020, there will be ten AG seats on the ballot -- in Indiana, Missouri, Montana, North Carolina, Oregon, Pennsylvania, Utah, Vermont, Washington, and West Virginia. As the chief legal officer in each state, the AGs will also play an integral role in the 2021 redistricting process, and in several states, the AGs are themselves members of the redistricting bodies that draw the lines. Regardless of a state's redistricting process, the AG is the ultimate interpreter of the procedural provisions of state law pertaining to redistricting. A total of 43 states and DC directly elect their Attorneys General. The AG is appointed by the state Legislature in Maine, by the state Supreme Court in Tennessee, and by the governor in the remaining five states. Seventeen states impose some form of term limits on attorneys general. Despite the unprecedented number of partisan battles, all AGs work together through the National Association of Attorneys General, a non-partisan national organization founded in 1907. During NAAG's Winter conference in March, a bipartisan group of AGs from 38 states and territories met with President Trump, Vice President Mike Pence, and US Attorney General William Barr. The meeting focused on the opioid epidemic, human trafficking and criminal justice reform. No mention was made of the children, families and refugees seeking asylum at the US-Mexico border, and who, under the Trump administration's "Turnback Policy," are being denied entry. That policy is being challenged by a coalition of 20 AGs. Who is your State Attorney General?